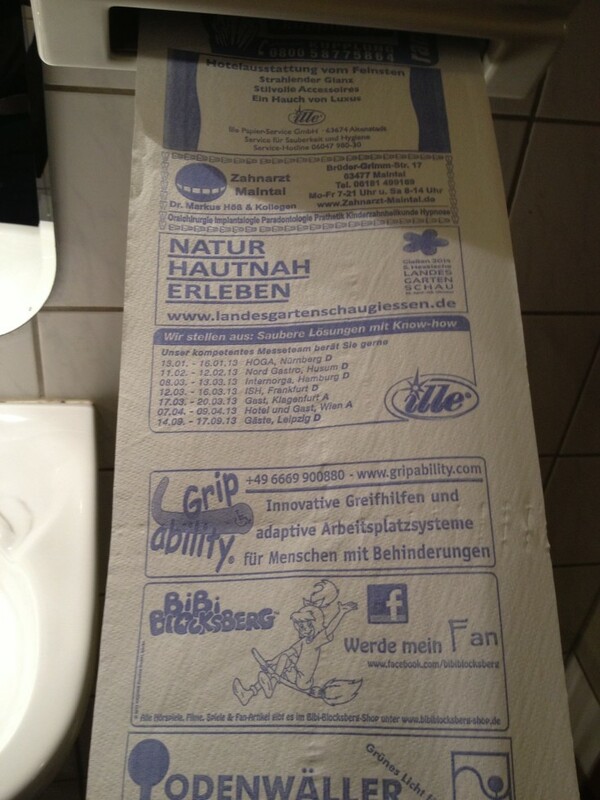 We Brits like to think that Americans are the best at advertising, but on a recent trip to Marburg I discovered that the Germans have come up with a new trick: printing adverts on the paper towels you dry your hands with in toilets. Gutenberg would have been proud! 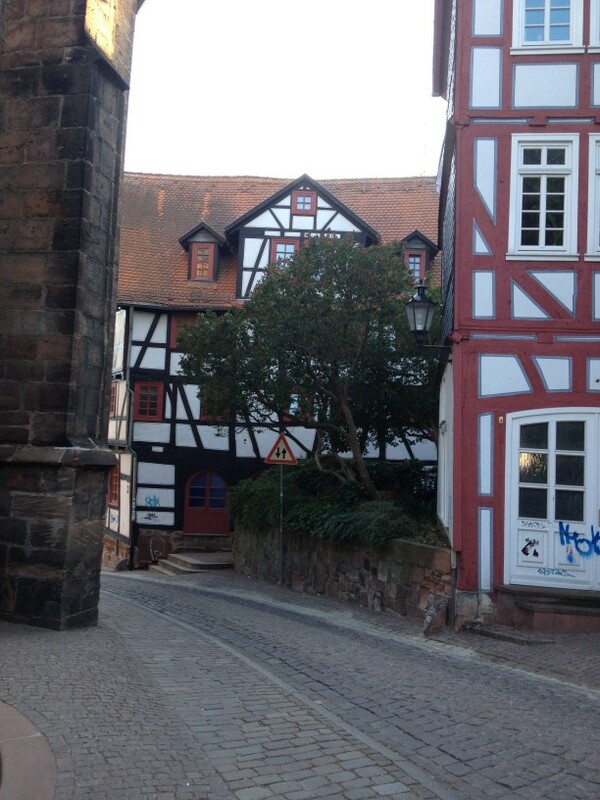 The house in the centre of this picture is where Hannah Arendt and Martin Heidegger had their affair, in Marburg. 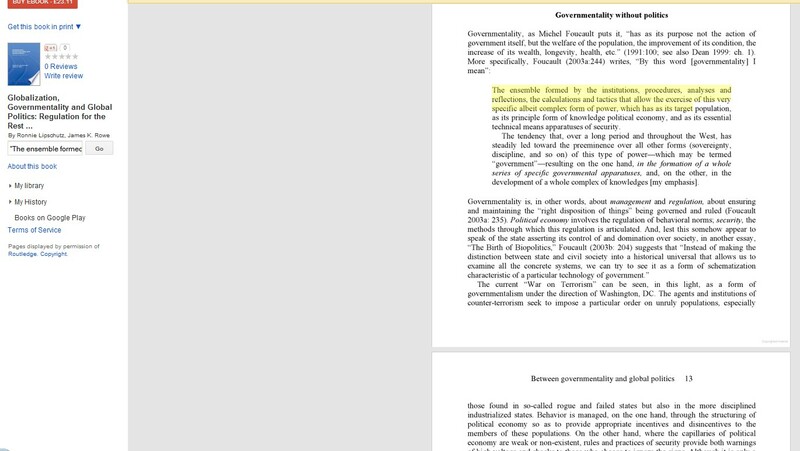 Apparently, Arendt would light a candle in one of the top windows to tell Heidegger when she was available. 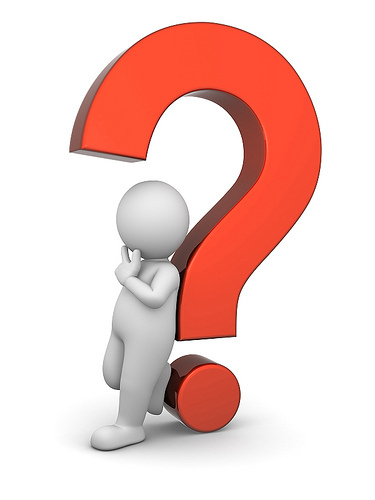 The Papal ‘Index of Prohibited Books’ was a list of books banned by the Vatican for being immoral or theologically wrong. 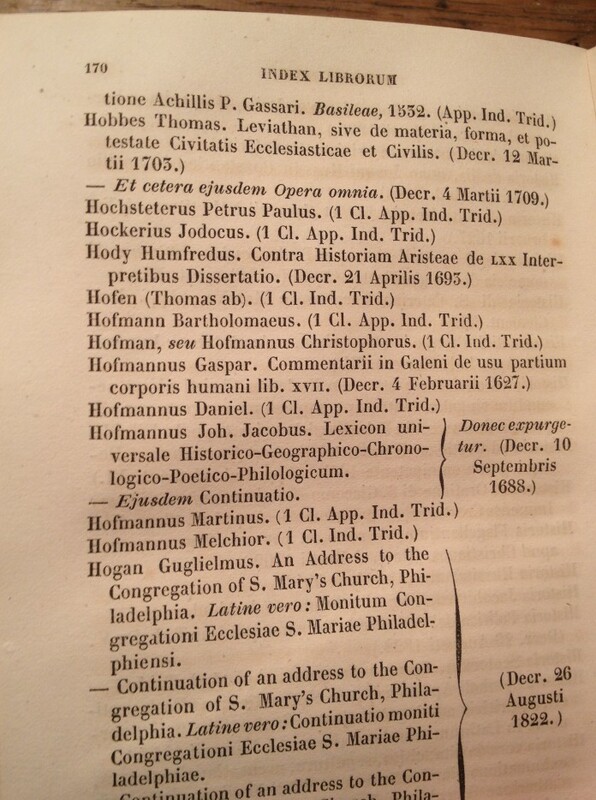 Below you can see the 1838 edition of the Index, which shows Hobbes’s Leviathan being banned in 1703. 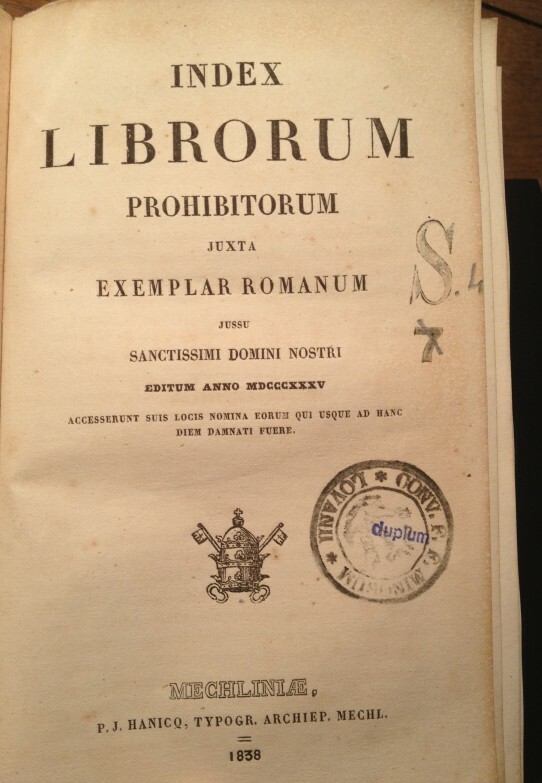 Curiously, they’ve banned the Latin translation of 1668, not the original English version of 1650. To cover themselves, a few years later they banned all of his other writings too. Thanks to Professor Dr Winfried Schröder of Marburg University for allowing me to take these pictures.